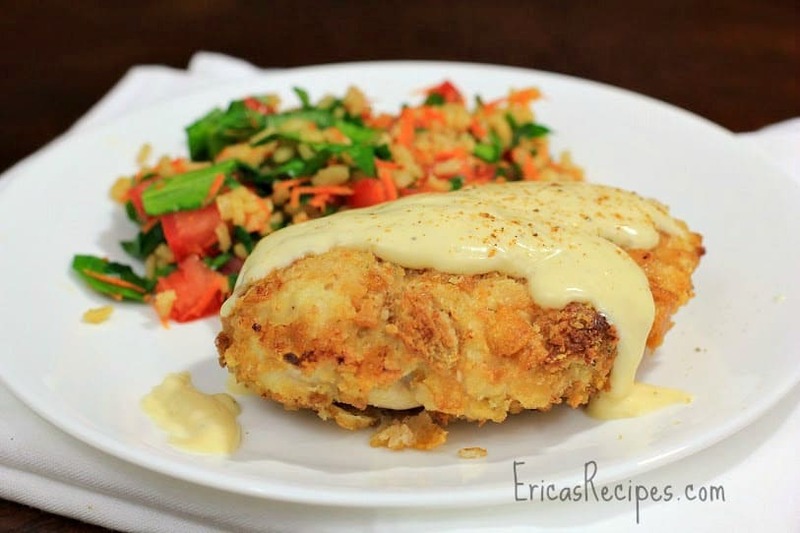 Kids love this crunchy, DELICIOUS, Oven Fried Chicken topped with a rich and creamy sauce. Love this chicken! I’ve messed with chicken coatings for years, and I always eventually get back to this one. 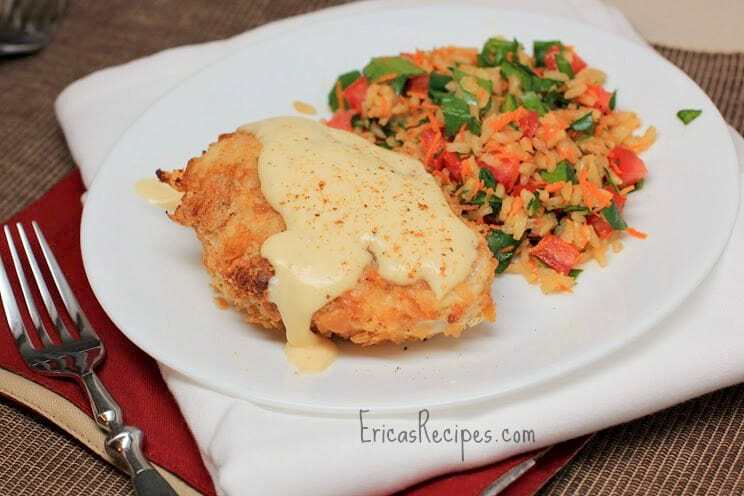 Each component makes it’s own contribution to the flavor and texture of this yummy chicken. And I do this in the oven with whole breasts because I’ve never gotten them to cook through properly stovetop. That’s what cutlets are for. Heat oven to 400F. Put the olive oil and butter in a 13x9 baking dish and put that in the oven to preheat as well. 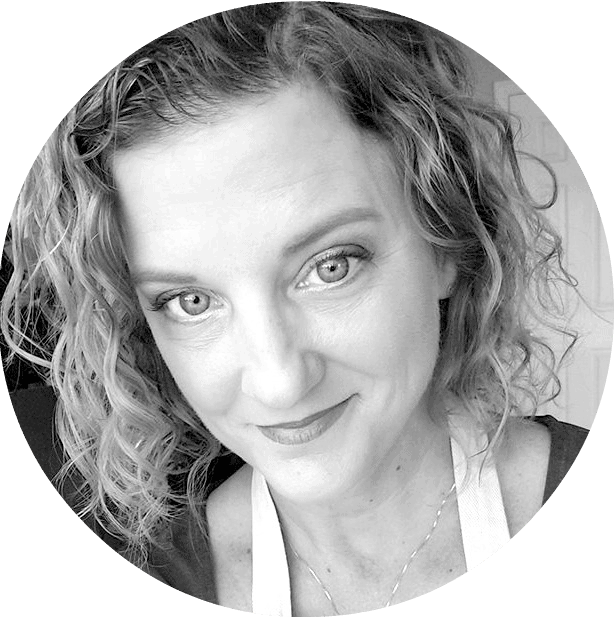 You may need to add more oil depending on your dish - you want a 1/4-inch layer of oil. Set up a dredging station: Put the flour in one dish and the egg plus 3-4 T water in another. Put the Ritz crackers in a sandwich bag, and crush into fine crumbs. 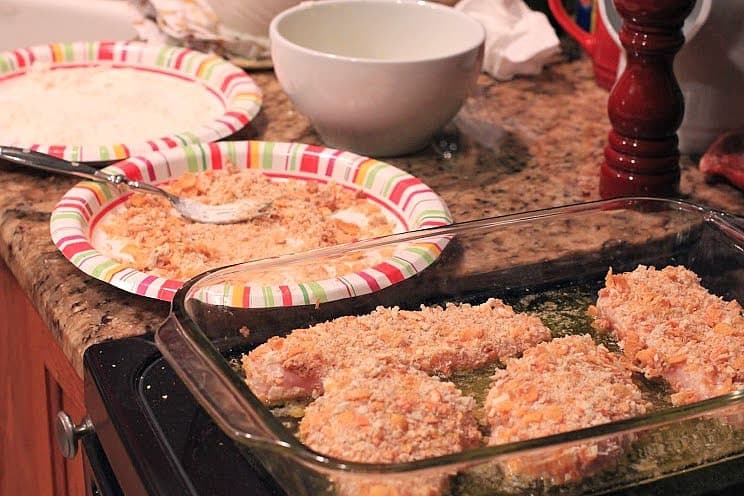 In the third dish, combine the stuffing, crushed crackers, parmesan, and cornflakes. Break up the cornflakes with your fingers. Season the chicken with salt and pepper. Take a breast and dredge it in flour, shaking off the excess. Dip in the egg wash, and then coat in the crumbs pressing to get it coated. Lay the chicken in the baking dish with the hot oil and melted butter. Repeat with the remaining chicken breasts. Bake 20-30 minutes, depending on the size of your chicken. Turn the chicken once halfway through the cook time. Cook until an inserted instant-read thermometer measures 155F. While the chicken is cooking, prepare the sauce. In a medium saucepan, whisk together the soup and sour cream. Season well with salt and pepper to taste, and add the 1/2 t Old Bay. Add just a sprinkle Worcestershire sauce. Serve spooned over the chicken. Serves 4.